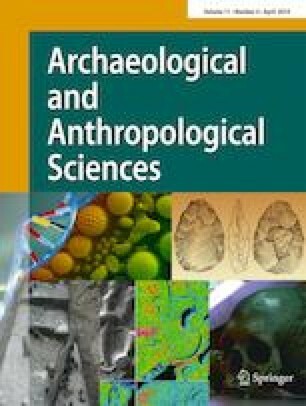 This study aims to characterize the Neolithic ceramics (Mushki, Bashi, and Jari wares) of the Kur River Basin and reconstruct the origin of the raw materials and manufacturing technology. Neolithic ceramics from 13 different sites have been studied with handheld X-ray fluorescence (hXRF) spectroscopy and thin section petrography. The geochemical signature of these ceramics was defined, and four compositional groups were determined. The variation in these compositional groups most likely relates to the ceramic wares for the Mushki and Bashi ceramics and to the site or group of sites for the Jari ceramics. Additionally, sediment samples were studied with hXRF demonstrating the variability in the geochemistry of the area. To determine the composition of the slips used for Bashi and Jari ceramics and to compare them with the inner fabric of the vessels, micro X-ray fluorescence (μXRF) spectroscopy was applied. The combination of these archaeometrical techniques indicated the use of unaltered, fine-grained, and mainly alluvial clays without the addition of temper (except for chaff) for the production of the three studied wares and the use of different clay types through the Neolithic in the Kur River Basin. The online version of this article ( https://doi.org/10.1007/s12520-018-0598-6) contains supplementary material, which is available to authorized users. We would like to express our gratitude to Prof. Dr. Holly Pittman and Katherine Blanchard of the Penn Museum (Philadelphia, USA) and Dr. Bruno Overlaet of the Royal Museums of Arts and History (Brussels, Belgium) for their valuable help and allowing us to study their collections. Additionally, we would like to thank Prof. Dr. De Dapper of Ghent University for his advice and help, and the reviewers for their useful comments and suggestions. This study received funding from the Belgian Science Policy Office (BELSPO) that is part of the BRAIN-project BArEO (Belgian Archaeological Expeditions to the Orient, Heritage in Federal Collections), BELSPO project no. BR/121/A3/BAREO.